Liam Baby-Three – Moments. Minutes. 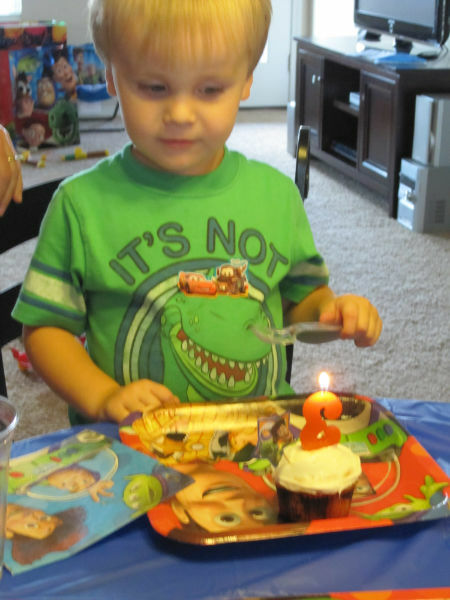 Memories…..
Our youngest grandson, Liam, turned 3 recently. He has been affectionately called Liam Baby by his older girl cousins since he was born. It all started when we were talking about how old they all were and Liam was only a baby. So, since everyone else was 2 and 4 years old it was hard to explain how old Liam was. We tried to explain he was only months old, and Rylee decided that since he wasn’t 1 he must be 0. This affectionately got him dubbed Liam Baby Zero. Well, now he is 3 but occasionally is still called Liam Baby! Not as often, but he still answers when you call him that. Liam is mischievous and shy, has beautiful blue eyes, a smile to melt your heart and loves to copy his big brother. He is a dare-devil and very accident prone! He is loveable and huggable and LOVED. He had a Woody birthday party this year and even got his own Woody doll. He and Papa pretend he is Woody a lot and Papa pulls his make believe string and Liam says “I’ve got a snake in my boot” It is too funny. We took him out to eat for his birthday to Chic Fil A and he ate a few fries. Very unusual for him, but we figured he was probably excited about picking out a toy. We took him toy shopping and he spent about an hour browsing……too funny. Shops like his Mom and Papa! 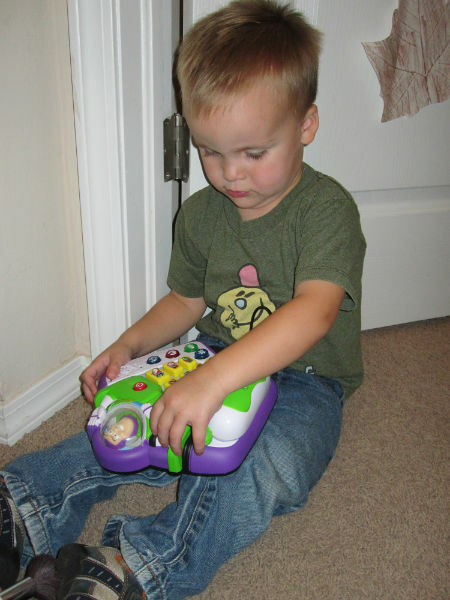 Anyway after lots of testing he decided on a Buzz Lightyear computer toy. He carried it to the check-out because it ‘wasn’t too heavy’. 🙂 Unfortunately he fell asleep on the way home and we didn’t get to play with it with him yet. Looking forward to more years of browsing for birthday toys with Liam! Happy Birthday Liam, Nana & Papa love you all the way to the moon! Previous Post He’s at the 50 yard line…..